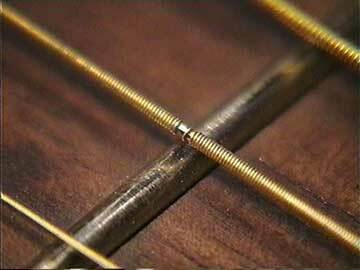 Wound strings can make special little fuzzy buzzy noises if their windings are loose. A string with loose windings may have been made that way accidentally, and I've even seen several sets from the same batch in which the same string in each set had loose windings. That's a mighty rare circumstance in American made strings, by the way. Loose windings make strings sound unbelievably dead sometimes, too. Either way, changing a string is often part of buzz diagnosis.